Green Party and Liberal Democrat constituencies are the most expensive areas of the UK, with Conservative seats only ranking third. SNP constituencies, which include six out of seven Glasgow constituencies, came out sixth, with house prices averaging £170,920. Glasgow North East, a Labour area, is included in the average house price per Labour constituency, where house prices average £265,762 across the UK, the fourth highest of all parties across the UK. 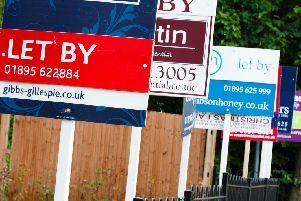 Out of 650 constituency house prices across the UK analysed, Glasgow South West ranked 460th (average £176,510), meaning it is one of the cheapest areas to live across the UK. That being said, the most expensive single constituency is a Tory one, with four others making up the top 10. Chelsea and Fulham has an average house value of £2,203,482, which is 25 times more than the cheapest constituency in the UK.